Baby it's cold outside. LOL Winter is moving in just in time for the holiday season projects to begin. Here is a snowglobe I created for the challenge at A Song in your HeArt. Be sure to stop by and see what the DT has for your winter inspiration. The image is from Fresh Brewed. 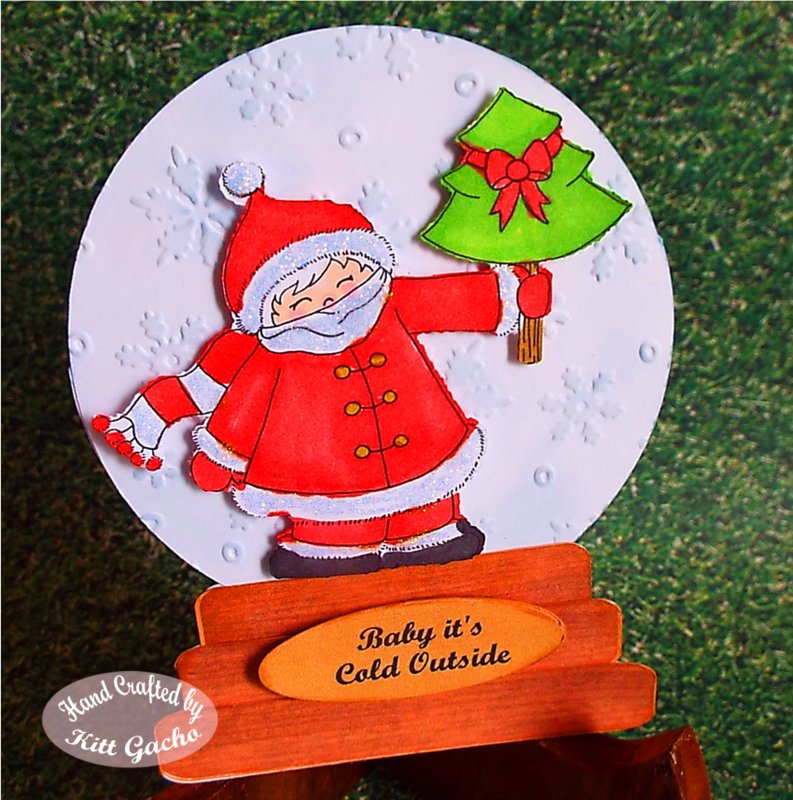 I used Cuttlebug embossing snowflake folder as a background and used Memento sky blue ink to add a touch of color. I also used Tim Holtz tea dye ink around the edges of the base pieces of the globe and sentiment shape. The image and the sentiment are on pop dots for depth. Of course I used Spectrum Noir markers to color the image and the Silhouette Cameo to print and cut the project. Thanks for stopping by today and leaving your comments. I'm always happy to hear from you. Stay tuned for more 3D projects coming soon. Keep warm and have a happy crafty day. I stopped by to leave a comment on you Decorate to Celebrate project and I'm sorry I didn't see it:) This is a cute card!